Why is perimeter monitoring important? Broadly speaking, radiation safety is about protecting the general public from areas with higher than normal radiation levels, and minimizing the exposure to the radiation workers. One of the keys to achieving this is the ability to know exactly what the radiation levels are at locations on and away from the site. This becomes especially important when seeking to establish that radiation levels in areas off site do not exceed allowable limits. Driven in large part by lessons learned from the events at Fukushima, a renewed focus has been directed at the task of properly defining and measuring radiation levels on a boundary line, be it around a nuclear power plant, a research facility, or in the event of an accident. The needs of safety, awareness, preparedness, and cost savings are aligned around the problem of boundary monitoring. It is with these concerns in mind that the Mirion® Perimeter Monitors were developed. With a wide variety of features and functions, they can be customized to fit the specific needs of the terrain and facility. Additionally, they can be tied into our WRM2 Wireless Remote Monitoring telemetry system, allowing a live readout on all connected monitors at a centralized location. This not only increases readiness and awareness of the area, but also efficiency since the need to have someone walk the perimeter making local measurements is eliminated. The mainstay of the Mirion Perimeter Monitor line is the DRM Perimeter Area Monitor series. All of our range of DRM Area Monitors, the standard version featuring both low and high range GM tubes (combined measurement range of .05 mR/h to 999 R/hr), provide broad measurement capabilities in a single unit. The DRM is also available with a sensitive, low range Cesium Iodide scintillator detector, or even with external GM probes for more unique arrangements. 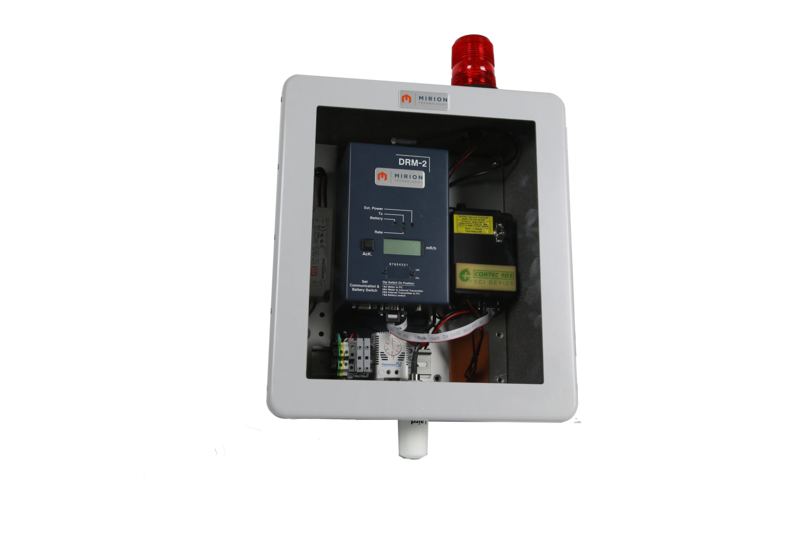 Capable of being powered by either solar power or external AC power, with varying levels of battery backup, they are a robust solution for perimeter area monitoring applications. A newcomer to the Mirion range of products for boundary monitors, the RDS-31 Perimeter Area Monitor provides similar functionality to the DRM line, based instead around the RDS-31 Handheld Survey Meter. These meters utilize either a low range (1 μrem/h to10 rem/h) GM Tube or the higher range (1 mem/h to1000 rem/h) Silicone Diode detector. While the individual detectors do not have the wide range of the DRM, this ability is not always needed. This trade is balanced by the added benefit of a perimeter monitor based on a handheld unit that can be removed to conduct spot surveys, and can be fitted with a variety of external probes. These probes can allow for a higher detection range or even alpha or beta measurement. The RDS-31 also utilizes Time-to-Count technology, which eliminates the dead time issue seen with GM Tubes using normal pulse counting. This allows for improved linearity of measurement, higher measurements using the same tubes, and longer tube life. 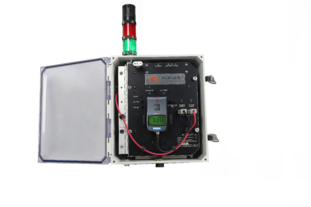 With either solution, the Mirion Perimeter Monitors provide a valuable tool in establishing a secure and measureable radiation boundary. With a series of well-spaced and well-positioned monitors networked with the WRM2 telemetry system, they provide a live window into the current state of not only the whole system, but an easily mapped breakdown of where trouble spots or areas needing further investigation might arise. They are highly customizable, both in the type of detection device found inside the unit, and in the type of enclosure, placement method, and power source provided. 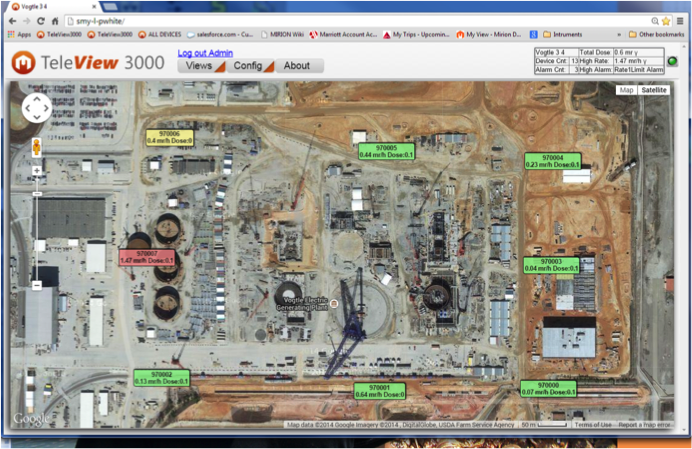 To facilitate accurate communication and monitoring with the WRM2 system, we have the Teleview 3000software platform. Utilizing a web-based system that can be installed on a single server and accessed from any computer or tablet on the network without any additional software installation, it provides an adaptive and easy to use means of keeping track of connected radiation detectors. It canalso be configured to work with Google Mapsto display live data basedon the GPS coordinates of the specific monitor in question. Cellular or satellite communication is also possible, and even necessary in some environments or terrains where line of sight communication becomes more difficult. In these cases it can be important to secure priority access codes for local cell towers to avoid overloading the towers with a deluge of calls updating the current status of the various monitors. 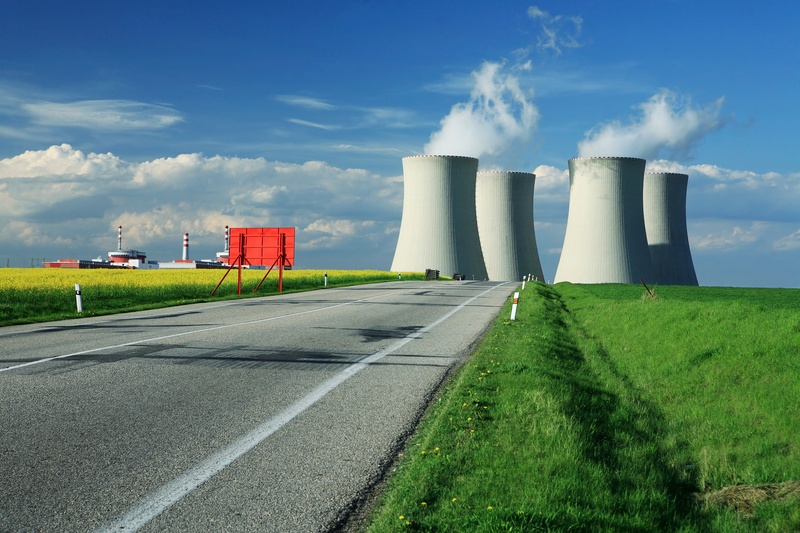 Radiation boundary monitoring is a topic of increasing concern for both regulators and operators, but specific requirements for different sites and use cases can cause complications. Variations in terrain, environment, regulatory demands, and specific security concerns can make a system that works perfectly at one facility be wholly unsuited for another. For this reason, Mirion has opted not to try to force an imperfect standard solution for all cases, and focused instead on providing a flexible array of Mirion Perimeter Monitors that can be applied based on the requirements at hand.